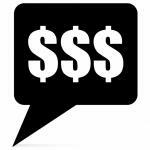 Lots of people wonder if this is a good time to refinance, and it's a good question. 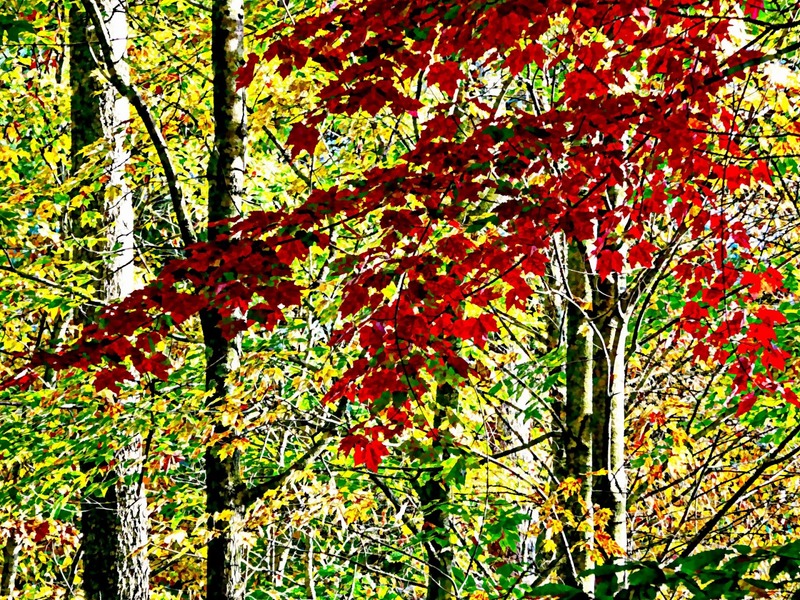 Today, I'm happy to feature another great post by guest blogger, AJ Earley, who offers a unique perspective for you to consider. Millions of Americans refinance their homes every year, and it’s no wonder, considering that billions of dollars are lost every year by the ones who don’t refinance. Everyone’s situation is different, and plenty of people pay off the life of their mortgage without ever pursuing a new loan. However, if you’re in a position to actually save money by doing so, it just makes sense to at least check into it. 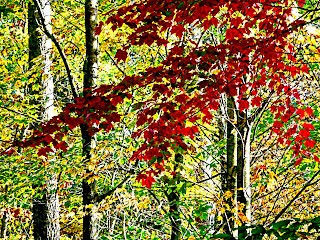 If you’re broaching a point in your life where a refinance might be on the horizon, it’s also the perfect time to consider “greening” up your home a little bit. While many people refinance for the sole purpose of using the equity to pay for renovations, there are so many benefits to upgrading your home before you refinance. The first is the fact that you will definitely receive a higher appraisal, meaning a higher property value when you go to refinance. Generally, your investment will have a much higher payoff in the appraisal process, but there are a few home improvement projects that have a higher payoff than others. Anything that makes your home more energy efficient, environmentally friendly, “smart,” or generally “green,” almost always falls into this category. Plus, your investment will pay off double if you go the energy efficient route: once when your home is appraised at a much higher value, and again every time you get a tiny or non-existent power bill. I’ve even heard of people getting paid by the power company monthly because their homes created too much energy. Another benefit of receiving a higher appraisal rate is that a better refinance deal will result in even more money for you to invest in greening your home more down the road. Say you’ve got your eye on a $75,000 complete solar energy system for your home, but you only have $30,000 to invest. 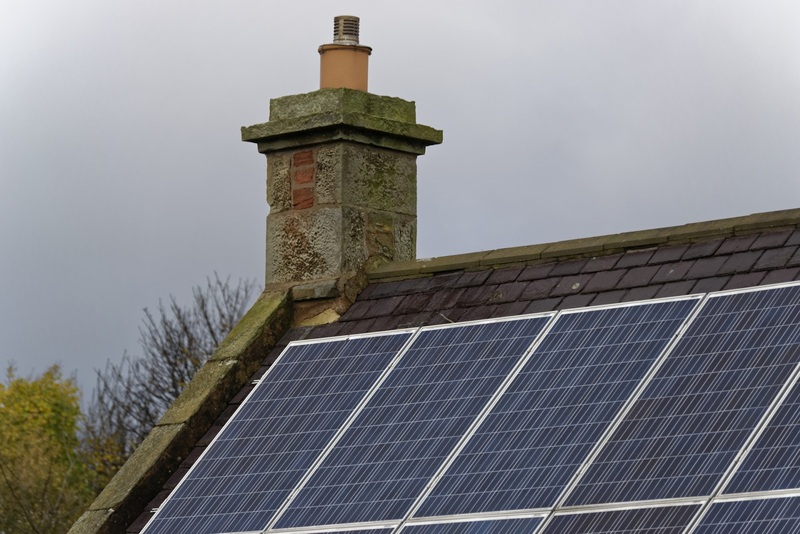 If you invest that $30,000 in other areas, that could result in an appraisal that’s $50,000 to $80,000 higher than your current value, which is more equity that could end up in your pocket… or in the hands of the company selling that snazzy solar system. As mentioned before, some home improvements result in much higher valuations than others. At the top of the list of renovations that return on their investment is kitchens. Having an updated kitchen means serious bonus points come appraisal time, but having the latest in energy efficient appliances and technology will boost those numbers even more. Window and door replacements are also well worth the money, as both give you a chance to improve the look and energy efficiency of your house at the same time. Both doors and windows have come a long way in the past decade, and they’ll also cushion your wallet in more ways than just a higher appraisal: replacing old windows with energy star rated ones can save you almost $500 a year in heating and cooling bills. If you want to save even more, open up those windows when the weather is nice! A fresh coat of paint all around the house, as well as new carpeting or flooring also yields a high return, but make sure you opt for products that don’t contain toxic VOCs (volatile organic compounds.) 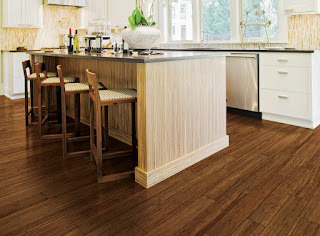 Generally, hard floors are considered “greener” than carpeting, as they last longer between replacements and require less electricity and cleaning products to maintain, but you can find carpeting made from recycled materials. 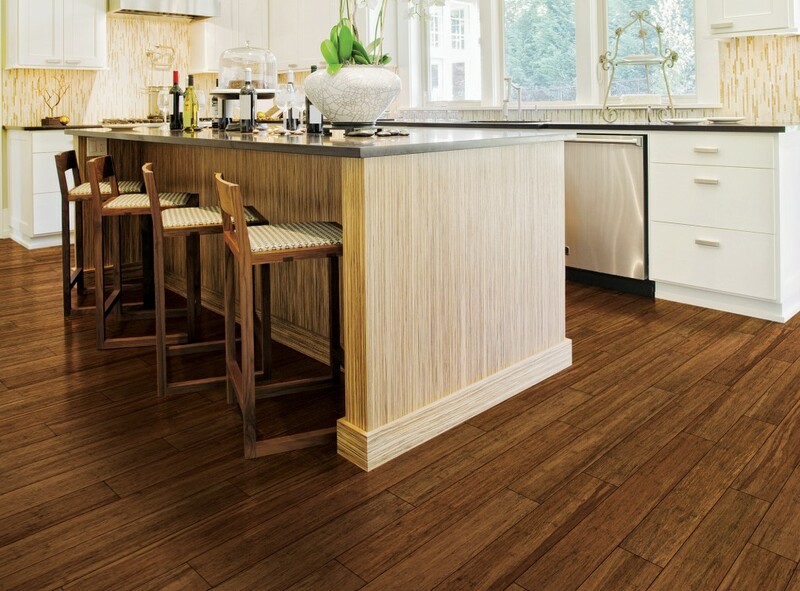 Bamboo flooring and tiles made of recycled glass are also sustainable (and attractive) options that will increase your home’s value. Adding an additional bathroom, especially to an older home that has a smaller ratio of bathrooms to bedrooms than we see in recent years, is another home improvement project that yields a great return, and it’s also another chance to make your home more eco-friendly. There are so many ways to create a greener bathroom: first off, install a low-flow toilet with a dual flush mechanism to reduce water waste, or even a hybrid where the gray water from the bathroom sink is recycled into the toilet bowl. When it comes to hot water, you can opt for a solar powered water heater or install a waste-heat recovery system, which uses the warm water going down the drain to preheat the rest of the water. You can fight mold and mildew a more natural way by making sure there are windows for ventilation and by using naturally mold-resistant materials like cork, marmoleum, natural clay, and water-resistant woods like cedar. Don’t forget that there are also lots of ways to make your home more energy efficient for under $100, and if you’re planning to refinance and want to have a greener home to boot, consider doing at least some of those renovations beforehand and reap the rewards later on down the road. If you've been around me for long enough, you know I frequently talk/write about neonicotinoids. And there's good reason for that. It's because I value bees. Really value them. And you should, too. After all, without our pollinating friends, our food supply will eventually disappear. The U.S. Department of Agriculture conducted a study regarding the 23% loss of hives experienced by America's beekeepers during the winter of 2013-2014. The conclusion was that neonicotinoids were to blame. Often simply called neonics, this is a widely-used class of neuro-toxic pesticides marketed by Bayer (yes, BAYER!!). It's a type of insecticide that affects the central nervous system of insects, paralyzing and killing them. 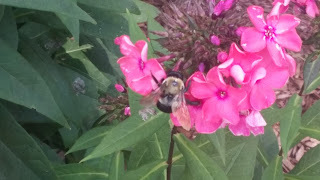 The plants' seeds are coated with the neonicotinoids, which then spreads to the leaves, flowers, pollen, and nectar. According to multiple studies, the chronic exposure to the neonics is killing the bees, by disrupting their immune and nervous systems. Beekeepers noticed something strange going on a decade ago when their foraging bees would fly off in search of pollen and nectar. Many never returned. For social insects, this is abnormal and something bees simply do not do... unless something happens to them that prevents their return. Neonics cause bees to have problems with their mobility, navigation, feeding, foraging, memory, and learning. That means, obviously, the pesticides destroy any hope of a honeybee's survival. Thanks, Bayer. While there are certainly other factors contributing to Colony Collapse Disorder, it is clear that Bayer's neonicotinoids are largely to blame. The European Union banned the use of most widely used neonics. But the U.S. EPA refused to do so. Hmmm... could Bayer be lining someone's pockets?? So, as the EPA drags its feet on this important issue, more and more honeybees are dying and crops are failing. The result is, sadly, more and more small family farms and beekeepers are going out of business. Does anyone even care? Well I know I do. And I bet you do, too. That's why my husband and I refuse to buy any products manufactured by Bayer. I hope you'll join us in this boycott. Bayer does not deserve our money. And when planting time rolls around next spring, make sure you buy seeds and plants not treated with neonicotinoids. If your local nursery doesn't know what you're talking about, run away empty-handed. Only those who are proactively avoiding the neonics are protecting their plants from them. Let's join forces to save the bees! Today's review is not about a product. No. It's about a prevalent attitude in today's society. Let me ask you a question: When your child's team loses a game, or your child loses a one-on-one competition/match, how do you want them to respond? Is it acceptable for them to pout, stomp their feet, push or shove the opponent (or their fans), or start name calling or bullying? Is it? Do you encourage this kind of behavior or do you expect your children to be gracious losers? What about when you or your spouse are watching sports? Do you show respect to the other team or its fans? Or do you shout obscenities at the opponents or your own team members when they make a mistake? What kind of example are you setting for your children? They're watching you, you know. 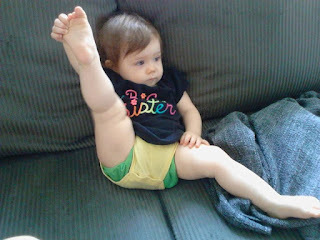 And children love to mimic their parents. Now, let's get down to the nitty gritty. What are your children learning from you in the face of this current election? I'll let that question sink in a bit. What do they hear you saying to the television when a political ad is playing? What do they hear you saying at the dinner table about the candidates running for office? What names have you called the presidential hopefuls? Have your children heard those names? What about your friends and family members who may be supporting a candidate you don't like (hate?)? Have your kids heard you tearing them down behind their backs? What, in God's name, is going on? This generation of children is being exposed to some of the nastiest behavior from the adults around them. And they're not going to forget it. What part of that is okay for your kids to absorb into their developing personalities? Is hatred toward a president -- our president -- really acceptable? Listen, I understand your feelings. I really do. But what I cannot accept is the hatred being spewed about -- on both sides -- toward each other. I don't want my grandchildren being raised to believe it's okay to hate simply because you disagree. Think about it. That's all I ask. 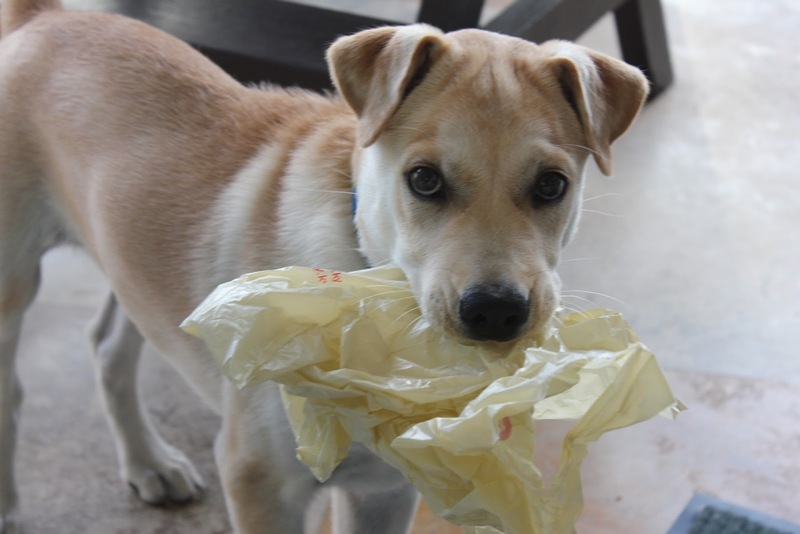 While we all have to admit that recycling is important, we also have to admit that it can be downright confusing. That's why I rely on Earth911.com whenever I have questions. Drop it in the recycling bin, Fido! Bags marked #2 or #4. But make sure they are clean and dry. For me, most of the above is a moot point since we don't use plastic produce bags, retail bags, paper towels, paper napkins, or disposable diapers. But I did not realize I could recycle the wrapping around toilet paper. I feel horrible about all the times I've thrown it in the trash. Here's another area where I've been wrong. I've been tossing my frozen veggie bags into the recycling bin. Oops. Let's face it: it's confusing and there's always something new to learn. But don't give up! As I often say, every drop in the bucket counts. 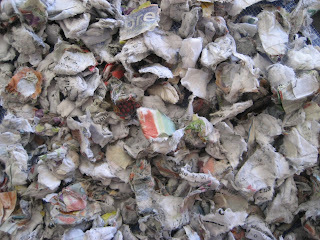 That means every recycled piece of plastic that stays out of the landfill counts, too. Let's do this, folks. Let's make a difference! GITTA GIVEAWAY! 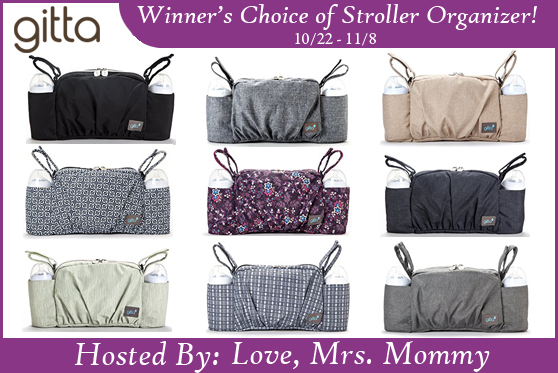 Winner's Choice of Stroller Organizer! I continue to wish all these marvelous new products were around when I was a mom struggling with an umbrella stroller, bulky diaper bag, and cloth diapers with pins and plastic pants! Mothering seems so much easier these days! 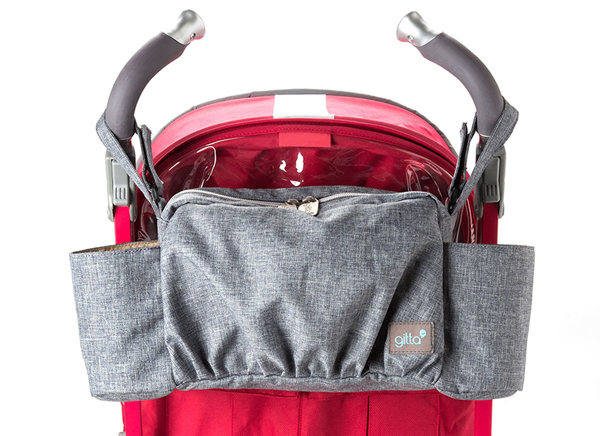 A Gitta On-The-Go Stroller Organizer! Winner's choice of color/pattern shown in the giveaway image (Black, Blue Denim, Black Denim, Dark Blue Denim, Desert Denim, Gray Grid, Printed Black, Printed Green, and Printed Purple). $39 RV! So what's the scoop with the homeopathic teething tablets? Despite the sensational and dramatic headlines that created a public scare and led to the removal of homeopathic teething products from the shelves of store, there really isn't anything to be concerned about. After the damage was done, the FDA clarified their statement, indicating they were conducting an ongoing investigation as a response to reported serious adverse events. The initial warning was arbitrary and capricious, but the media's exaggerated fear mongering made a bad situation worse. According to a spokesperson for the FDA, the relationship between the reported serious adverse events and homeopathic teething products has not even been determined. It is currently under review. So, should you be concerned? I don't think so. I know there are many groups determined to undermine homeopathy (do any of the big-Pharms come to mind?). Obviously, if consumers continue to benefit from homeopathic remedies, there will be less need for over-the-counter and prescription drugs, right? So who loses? You figure it out. Her toddler found the Hyland's Nighttime Teething Tablets and ingested a whole lot of them. Naturally concerned, this mama immediately phoned Poison Control. When PC heard what the toddler ingested, they told her not to worry about it. She also called and spoke with a representative at Hyland's who reassured her the child would have to ingest much more than one bottle of tablets before there would be any side effects whatsoever. Of course, both the persons at Poison Control and Hyland's were right. Nothing happened. The little girl was perfectly fine. And mama was relieved that she used homeopathy to ease the pain of teething, rather than something pharmaceutical, which could have had grave results. The fact is that homeopathy is a safe, gentle, and natural system of healing that works with your body (not against it, as many pharmaceutical products do) to relieve symptoms, restore itself, and improve your overall health. It's been used by over 250 million people worldwide for the last 200 years! In the US, homeopathic OTC medicines are indeed regulated by the FDA and have been for decades. Homeopathy has a laudable and extensively documented clinical record and there are hundreds of high quality, peer-reviewed basic science, pre-clinical, and clinical studies proving its efficacy and safety and absolutely NO studies linking homeopathically-prepared medicines and serious adverse events. Would I give my grandchildren homeopathic teething tablets? You bet I would. There is no scientific link between homeopathically-prepared belladonna, which is in Hyland's teething products, and seizures. None. Again, I have to wonder about who it is exactly that is leading this anti-homeopathic crusade. 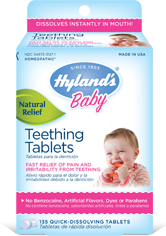 Unfortunately, because of everything happening with this issue, Hyland's has decided to stop distribution of their teething products here in the United States. This deeply saddens me. Click here to read their letter concerning this issue. In the meantime, I'm going to continue using homeopathic remedies every chance I get. Of course, only you, as a parent, can decide what is best for yourselves and your children. And, as a reminder, I am not a medical professional, so take my advice with a grain of salt. Preferably Himalayan. Let's talk a bit about breast cancer prevention again today. There is something many women do that significantly increases their risk of developing breast cancer. And I want to warn you and I want you to warn your daughters and co-workers and friends and mothers... warn every woman you know. Do not ... I repeat ... do not carry your cell phone in your bra. PERIOD. There are documented cases of young women who have developed breast cancer after carrying their cell phones next to their breast. Devra Davis Ph.D. MPH, President and Founder, Environmental Health Trust, states, "These cases all formed with multiple primary tumors in the outlines of where the cell phones lodged. Typically, breast cancer appears in the upper outer quadrants, not in the center of the chest. And none of the patients have the known breast cancers mutations. The location, the young age, the amount of tumors, and the lack of markers are all very concerning." But wait -- yeah, I sound like an infomercial, don't I? -- it's not just women who are at risk, so you have to spread the news to all the men you know who have a habit of carrying their phones in their shirt pockets. After all, men can get breast cancer, too. Read the warnings from your cell phone manufacturer on the safest way to use and carry your phone. 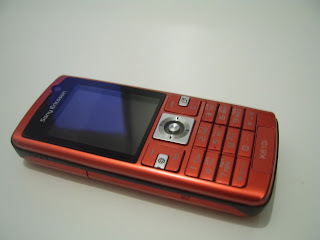 Also, before buying a new phone, check the SAR (Specific Absorption Rate). The FCC has imposed limits for safe exposure to radio frequency energy from cell phones (a SAR level of 1.6 watts/kilogram). If you're not sure, ASK. If you're in an area with a weak signal, realize that your phone will work harder and emit more radiation due to the blocked signal. Keep the phone away from your body in those instances. Of course, always check with your doctor if you notice any changes in your breast, such as reddened skin that does not go away. When it comes to breast cancer, prevention is key. This is just one more way. Holster it or keep it in your purse, but do not, I repeat -- DO NOT -- slip it into your bra. As a mother and grandmother, I am constantly researching healthier living options, which include being proactive in preventing diseases and conditions. My use of homeopathic remedies has spanned decades and is the reason I'm thrilled to be a Hyland's HealthMaker. 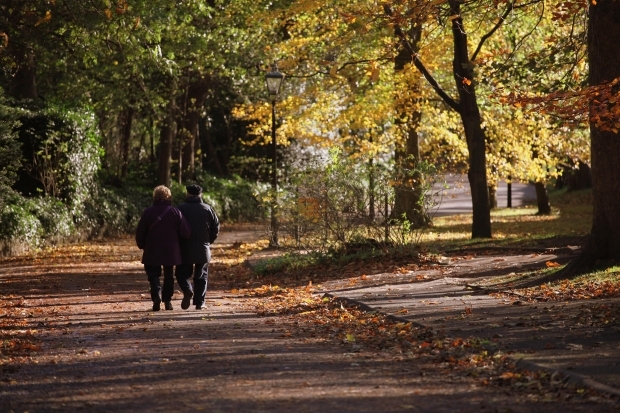 Let's not just treat our health conditions, let's do everything we can to prevent them. As you know, October is Breast Cancer Awareness Month. The whole idea of pinkwashing everything disturbs me. The campaign to go bra-less to promote awareness bothers me. Companies spending obscene amounts of money to turn everything pink dumbfounds me. You see, everyone is already aware of breast cancer. We don't need more awareness. What we need is prevention and awareness of what that entails. I wish Terry, a woman I met tonight, had known about prevention. I saw her sitting at the bar while my husband and I were having dinner. She looked lonely and distraught. I asked our server to put her tab on our bill and I paid it. A few minutes later, Terry approached our table. She was near tears. She thanked me and I stood up and hugged her. She explained she was going through radiation for breast cancer. She'd already had her left breast removed. "I wish they'd done a bilateral mastectomy," she said. But they hadn't and now she's facing radiation, chemo, another mastectomy, and radiation again. 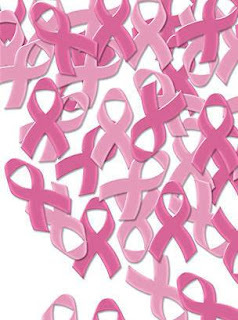 She was aware of breast cancer... intimately aware. But maybe, just maybe, being aware of ways to eliminate risks could have prevented this re-occurrence. My heart was heavy for Terry as we hugged again. I paid a simple bar tab. I wish I could have done more. The EWG (Environmental Working Group) just published a guide called Reducing Exposures at Home: Choosing Healthy Cleaners. Do you want to limit your risk of developing breast cancer? Then you need to start paying attention to the toxic substances in your home, workplace, and personal care products. The EWG guide offers a good place to start. And, of course, if you follow Vinegar Fridays (first Friday of every month) or search the archives, you'll find more ways to limit your risk. And by all means, stay away from some of the toxic products dressed in pink... they just might kill you. Body odor. Yuck. Natural deodorants often don't work. While there was one natural and safe deodorant I used to swear by, the company changed the formula and the packaging (to cardboard, which made it messy and difficult to use) and I no longer liked it. Plus, it used to stain my clothing. The alternative was commercial deodorant, which was affordable and readily available on the grocery and drugstore shelves. But who wants to apply toxins under their arms and risk the chance of breast or lymph node cancer. NOT ME! I also do not want to offend others, and myself, with nasty B.O. What's a person to do? Well, I'll tell you what my husband and I have been doing for over six months now. And I dare say, neither of us stink. I scoop a tiny bit of baking soda into the palm of my hand, add a tiny bit of coconut oil, and rub into my armpits. That's it. If it's a bit too oily, I dab with a dry washcloth, get dressed and go on my way. And, since I'm not one to shower or bathe daily (there really is no purpose to that, you know), I only have to apply it every couple of days. So far, there has been zero odor. Same for my husband, who also does not shower daily. He was skeptical, but the results won him over. No toxins. No carcinogens. No B.O. Effective and economical. 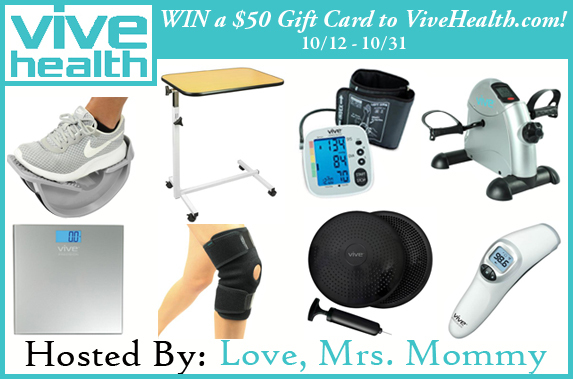 I'm so excited to be taking part in this giveaway because I, too, love Vive Health and their products. Read my review here. Vive Health offers an amazing selection of health-related products. They carry everything from blood pressure monitors to splints as well as walking aids to alarms. If you are injured or are caring for an elder, you need to check out their products. They offer free shipping on everything and have a wonderful guarantee policy. 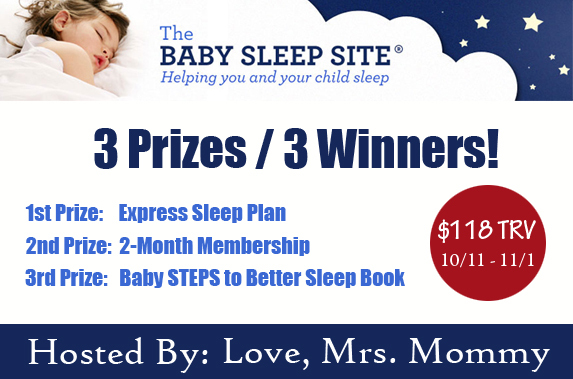 A giveaway designed to help your baby/toddler and YOU finally get a good night's sleep! One of the most frustrating parts of being a parent of infants and toddlers is, quite simply, not getting enough sleep. Often, sleep-deprived parents struggle to get through their days. There is help available! The Baby Sleep Site offers a variety of packages to help families struggling to get a good night's rest. They offer everything from their Express Sleep Plan to a Members Area which offers great resources for people to use to either prepare for DST or for getting their baby or toddler back on track after DST. They also have personalized sleep consultations, perfect for tailoring a plan specifically to your family's needs. Plus you can find free resources, such as sample schedules and eBooks, right on their website! Click here to read Love, Mrs. Mommy's article on Daylight Savings Time and The Baby Sleep Site! 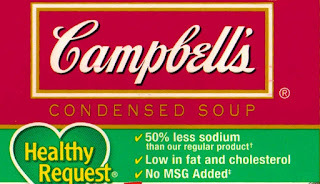 Define "healthy" on food labels. The FDA wants your input. The FDA is looking to redefine the word "healthy" on food labeling and they want your input! 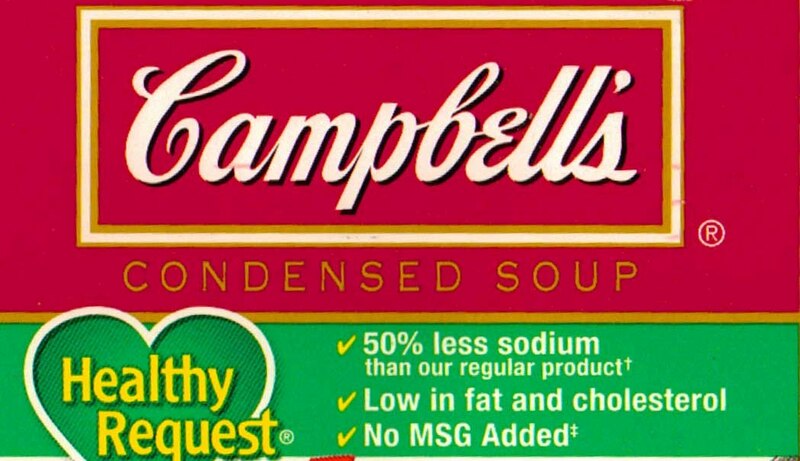 Here's your chance to let the FDA know what you want food that's labeled "healthy." "FDA is issuing a guidance document (Guidance for Industry: Use of the Term "Healthy" in the Labeling of Human Food Products) stating that FDA does not intend to enforce the regulatory requirements for products that use the term if certain criteria described in the guidance document are met." Here is your chance to make your voice heard! The comment period for the Request for Information and the Guidance for Industry starts on September 28, 2016. Submit electronic comments on http://www.regulations.gov to docket folder FDA-2016-D-2335. All comments should be identified with the docket number FDA-2016-D-2335. I know I can count on the Green Grandma community to speak up! Let's do it, folks! "But I hate the smell of vinegar!" I've heard that comment frequently since I started blogging about vinegar. I understand. 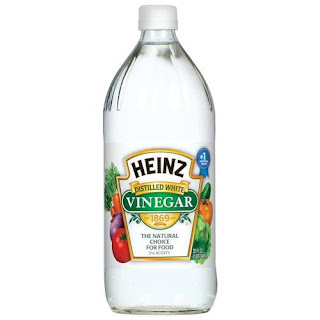 Here's the thing: the smell of distilled white vinegar (DWV) dissipates quickly. "I don't want my laundry smelling like vinegar!" It won't. If you add it to your rinse cycle, the smell will dissipate in the dryer or on the line. Nothing will smell like vinegar as you fold your laundry and put it away. Nothing. And that sure beats the lingering aroma of toxic fabric softeners. "I don't want my hair smelling like vinegar!" Of course not. No one does. But when you rinse your hair with vinegar (whether no-pooing or simply replacing your conditioner with vinegar), the smell of vinegar is gone by the time your hair is dry. Just like with your laundry. "I wish I could clean with vinegar, but I just can't stand the smell of it." Fair enough. Here's a handy, dandy tip for you to help you maintain your goal of cleaning your home without toxic chemicals. Throw some citrus peels into a jar and cover them with DWV. Close the jar and let it stew for a couple of weeks. Then strain the citrus-infused vinegar into a spray bottle or a bucket and voila! you can breathe in the fresh lemon, orange, lime, or grapefruit scents as you clean and disinfect your bathrooms, kitchen, floors, etc. It might even smell good enough to drink! 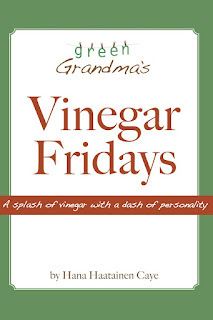 For more vinegar tips, check out my book, Vinegar Fridays. Thursday's Truths & Tidbits -- why I've had the same underwear for over 15 years! Welcome back to Thursday's Truths & Tidbits. You didn't think I was going to post a pic of my undies on the line, did you? Today, I have a tip for you: Line dry your underwear. It's as simple as that. Even if you don't line dry your sheets (you're missing out on something really special there), your bras and undies don't belong in the dryer. Ever. Line drying is kinder to the environment for more reasons than one. Yes, it helps not to have to run an electric or gas dryer. But there's something more. When you wash delicates in cold water and hang them on the line to dry, you greatly extend the life of each piece. That means you don't have to keep replacing things like underpants, bras, camisoles, and nightgowns. And that, my friends, is common sense green living. Not only is it environmentally friendly, but it's awfully kind to your wallet as well. And it doesn't matter if your clothesline is outside or stretched across your laundry room. The goal isn't to have sun-kissed, wind dried undies (although that's awfully nice). The goal is to protect the elastic and delicate fabric from the dryer. As I was hanging my 15+-year-old underwear on the line this morning, I couldn't help thinking about how much money I saved by investing in good underwear and never, ever putting it in the dryer. And that is today's tip for greener living.